We dissect the new SEO trends of 2018 that will mark the success or failure in the positioning strategy of your website and its place in the Google results pages. If you want to improve your SEO, pay attention. Like last year, at Alltop9 we are very attentive to the keys and novelties that will mark the SEO in 2018. Google continues the course of the last twelve months: the Penguin 4.0 algorithm continues to combat junk content and bad practices in real time, the intention of the user is becoming increasingly relevant, geolocation and local SEO are essential for the success of small and medium businesses and mobile phones gain prominence, as well as the so-called Latent Semantic Indexing. We also witness the appearance of several improvement changes in the Google AdWords platform. If something has stood out as a basis in the eyes of Google is that the search engine has focused their efforts to create the best possible user experience. For this 2018, we review some concepts that you must understand and that will continue to rise, such as mobile optimization and machine learning. By understanding and implementing them you can improve your SEO strategy, gain good positions in Google and better satisfy your users and consumers. I got to know a few important points from the recent Google Search Conference and included all of them in this article. Let’s see which will set a trend in this 2018. It is possible that by now you are aware of the immense importance of optimizing your website or blog for mobile devices, taking care of aspects such as responsive design, keyword research in relation to voice searches, speed Loading or using the location. At present, we can already verify that more than 55% of all web traffic comes from mobile devices, and that number is expected to increase. Google already warned at the end of last year that it will give prominence in SEO to mobile versions of web pages. Therefore, it is essential that you stop thinking about these devices as add-ons, but prioritize mobile SEO. Some tips to get started are to do the Google mobile optimization test, repair broken links, start compressing images to lighten their weight-without losing an optimal resolution, eliminate blocked mobile resources, as well as pop-ups and other intrusive elements, check the size of the text, the scroll and the configuration of the preview or bet to do an audit of your mobile site. The goal of the Google Hummingbird update back in 2013 was to improve the accuracy of the search by better understanding the search intent. Today, and even more so in 2018, the so-called semantic search – whose purpose is to understand queries in the natural language of the user – has evolved much more, and search engines are more sophisticated than ever to unravel the context of the consultations and the relationships between the words. There are many subtle nuances in the mechanics of semantic search, but ultimately, it should be noted that a web page that is submerged in a specific topic in depth will generally get a better ranking than dozens of pages created with different keywords. The reason? If a content constitutes an integral resource to give Google the context it needs to satisfy the intent of the search engine, it will be more valued. 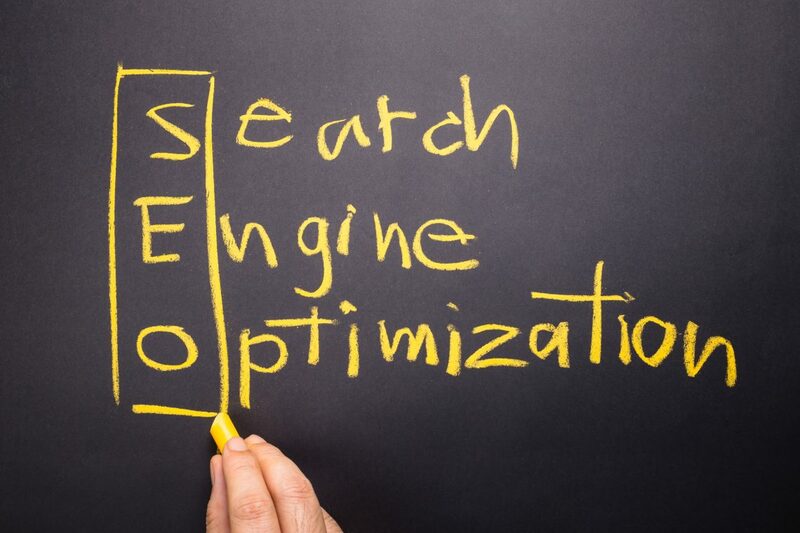 The recommendations for working semantic SEO include searching in-depth topics relevant to the audience, answering questions that help discern the intention of the search engine in order to create content that matches, create complete guides, tutorials and extensive and rich pieces of Perennial content, create additional landing pages to satisfy other searches that match the user’s intention and use the outline marking for your business and your product. Machine learning is closely related to the topic of semantic search since it is a great way for search engines to make “informed assumptions” about what certain ambiguous queries mean, offering better search results in their set. Systems of this type are an integral part of many search engine ranking algorithms: in the case of Google, RankBrain is a fundamental algorithm for searches. RankBrain’s complex operation focuses on rewarding the quality of information, improving the Hummingbird algorithm with the transformation of keywords into vectors comprised of machines. Thus, the search engine solves problems of misunderstanding related to the context of the search or the plurals or spelling mistakes. With its own self-learning system, it is able to detect unsuccessful results based on factors such as the rebound rate. In this case, the best practice is to continue creating robust resources and specific content optimized for the semantic search and focused on the user experience. A few years ago, Google introduced the highlighted fragments in its SERP. These were intended to provide users with “rich,” short, real-time, fact-based answers to their queries. To do this, the search engine analyzes millions of pages to answer questions through text, lists, images and even videos so that users can find answers without having to click on a link. The highlighted fragments are incredibly powerful because they occupy the coveted “zero position”, which means they precede the best-ranked websites in the SERP. According to research published by STAT, around 30% of the URLs of the highlighted fragments are classified in the first position organically, while the rest is extracted from the websites classified between Positions 2 to 5 in the search engine. In order to create content that competes for the highlighted fragments it is important that you carry out keyword research to guide the relevant questions who, what, when, where and why, study the outstanding fragments of your niche in order to be able to create similar resources and allocate specific content in depth for your target and based on exhaustive research. It is essential that you provide a clear definition of the query as close as possible to the top of the page, completing it with details and additional information. As we have highlighted in recent months, the upward trend of voice search and the proliferation of virtual assistants such as Siri, Cortana and Alexa is similar to a snowball that keeps growing. According to a study conducted in 2017 by VoiceLabs, 33 million voice devices such as Amazon Echo or Google Home are currently in circulation, up from 8 million in 2016. In addition, currently, the speech recognition technology of Google has an accuracy of 95 %, improving by almost 20% since 2013. The metric rise in voice search and the use of the virtual assistant relate the prevalence of mobile devices to the need for people to get quick answers to questions while they are on the move: doing everyday tasks, shopping, on the street or travel, for example. For this reason, virtual assistants will soon be able to buy tickets for concerts or reserve a table at your favourite restaurant. Around a quarter of voice queries are related to content and local information since 2016, so it is essential to optimize queries based on natural language, prioritize long-tail keywords, register your business in Google My Business, improve the speed of the page, format videos to show them in full screen in vertical position, optimize your landing page for local SEO and bet on the fragments staked. Do not forget that some experts predict that by 2020 half of all searches will be conducted by voice. These are the important factors that create a trend in the future days. If you have any queries let us know them in below comment box and we will get back to you to solve all your queries as soon as possible. Also, share your thoughts on these trends in the below comment box.